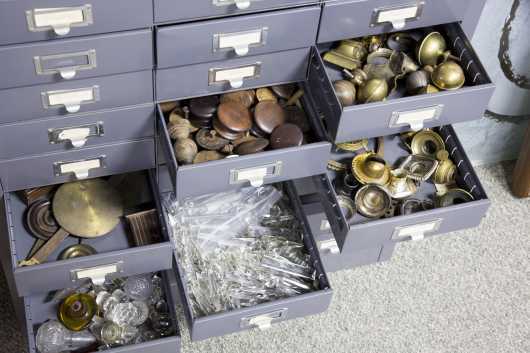 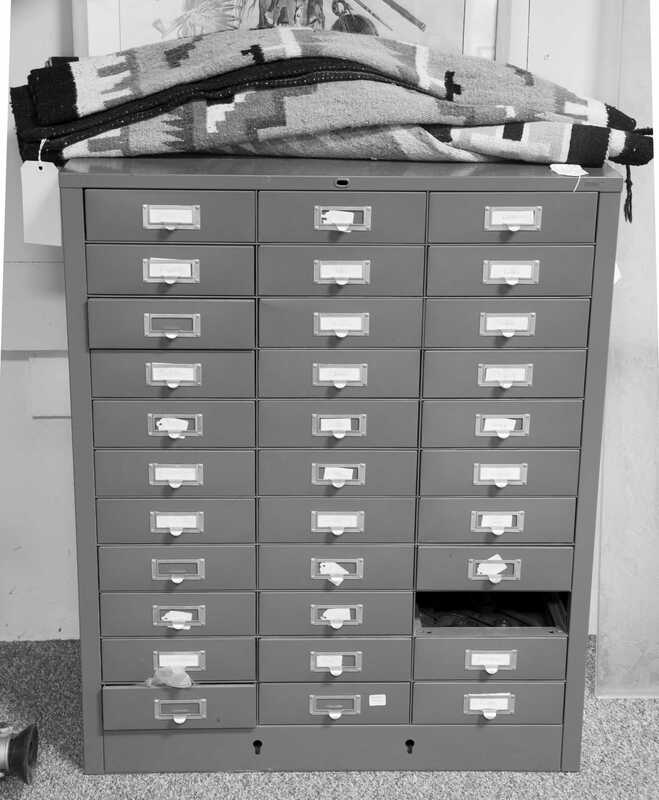 Set of 32 Drawers Full of Miscellaneous Antique Parts, A) Two drawers of girandole prisms. 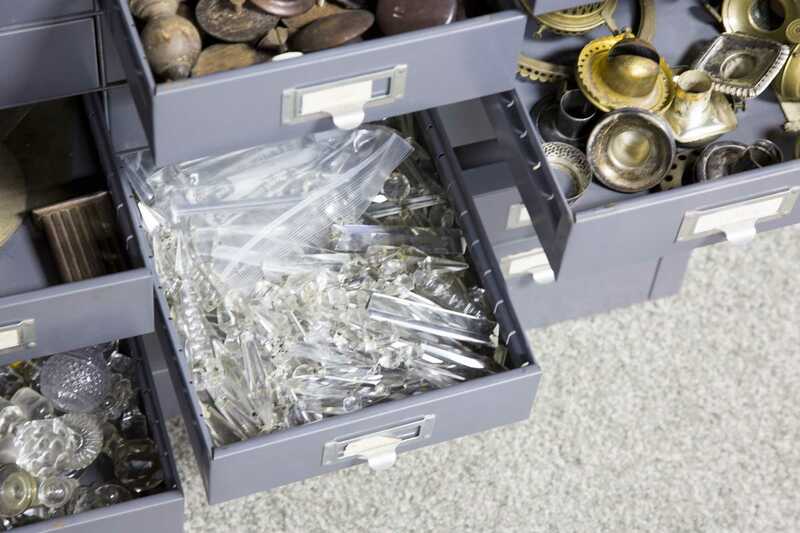 B) One drawer of lighting parts- whale burners ets. 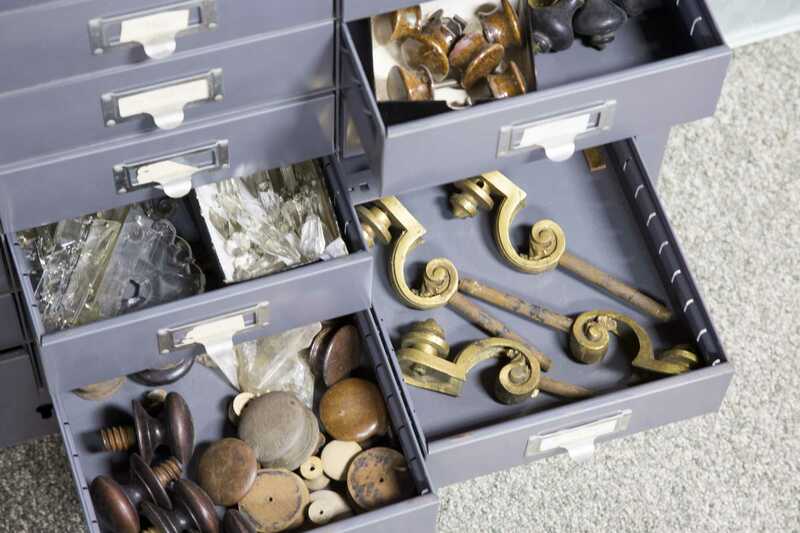 C) One drawer of wooden pulls. 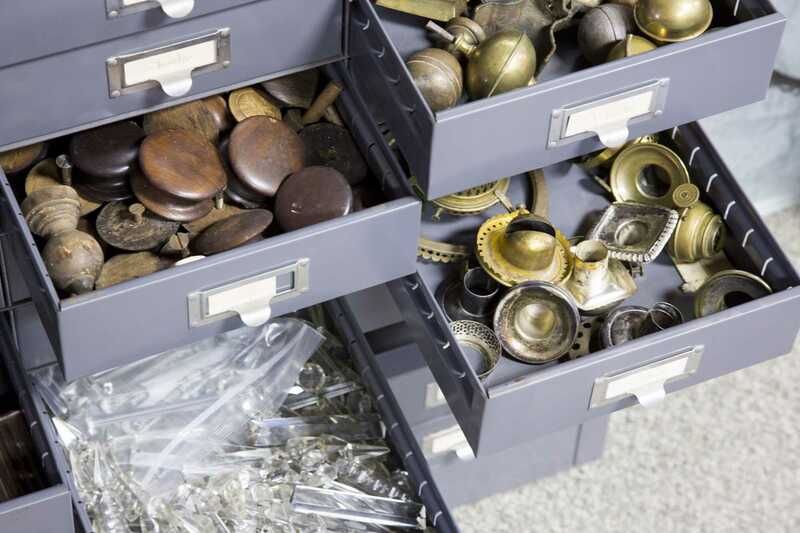 D) Two drawers of brass sheraton and empire pulls. 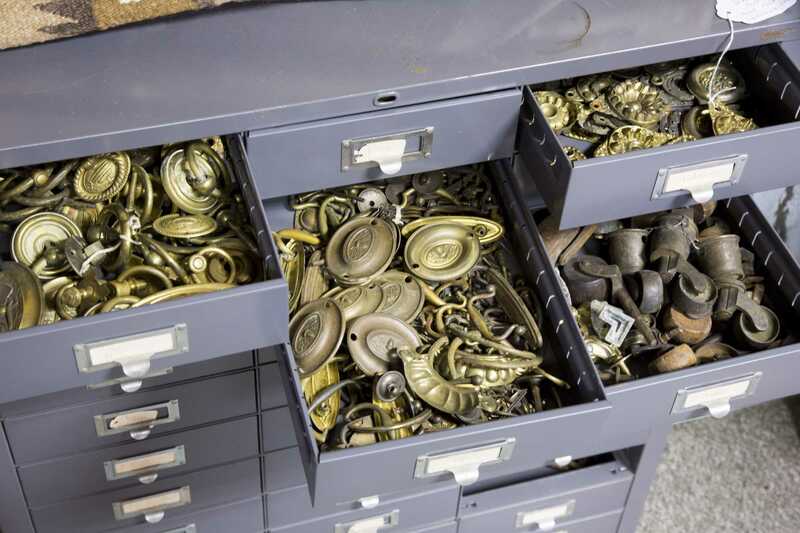 E) Two drawers of clock parts. F) Numerous drawers of brass hardware and misc. 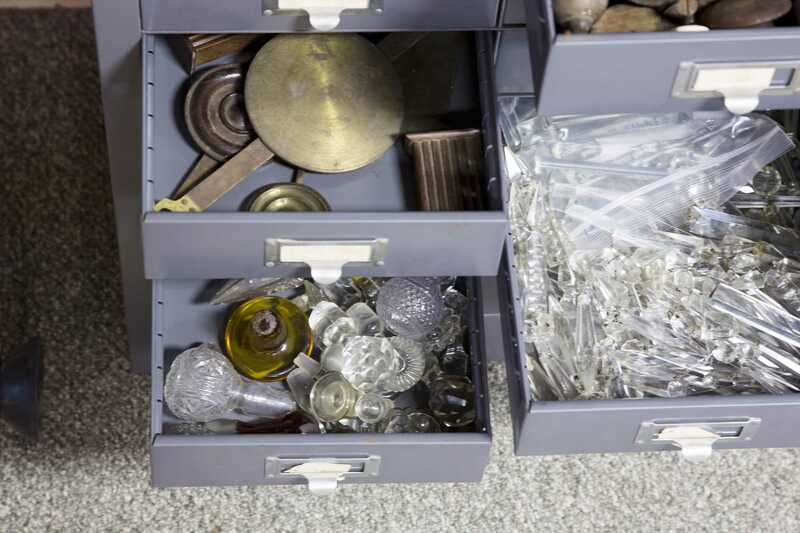 (see photos) a good old collection, perfect for anyone who does restoration work.